The Canadian Food Inspection agency has issued a recall of salmon nuggets produced by a company in Delta, B.C. sold in Alberta, B.C., Manitoba and Saskatchewan. The Canadian Food Inspection Agency has issued a recall of salmon nuggets produced by a company in Delta, B.C. over possible listeria contamination. 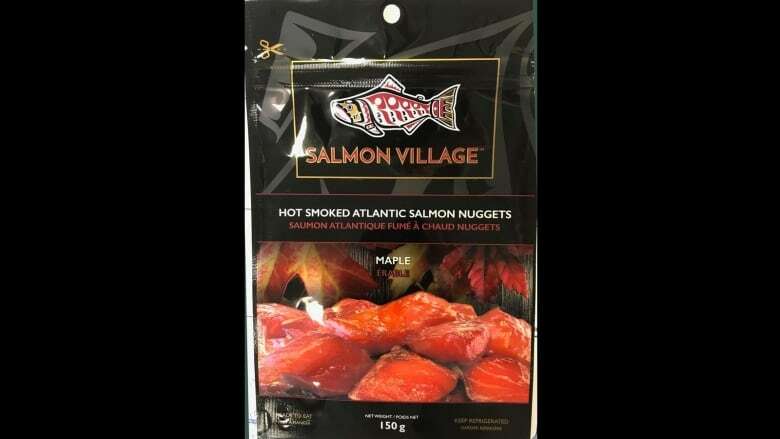 The agency, in a statement, said maple-flavoured Salmon Village-brand Hot Smoked Atlantic Salmon Nuggets sold in 150-gram packages (universal product code number 8 28684 00108 9) should not be eaten and instead thrown out or returned to where they were purchased. The nuggets were sold in Alberta, B.C., Manitoba and Saskatchewan, the agency said. There have been no reported illnesses caused by the product, it added. Food contaminated with Listeria monocytogenes bacteria may not appear off but can still cause illness. Symptoms of food poisoning by the bacteria may include vomiting, nausea, persistent fever, muscle aches, severe headache and neck stiffness. Pregnant women, the elderly and people with weakened immune systems are particularly at risk, the agency warned. It advises anyone who thinks they've become sick from the nuggets to call a doctor.